Malaysians have been urged to undergo HIV screening and if necessary, to go for antiretroviral (ARV) treatment without delay. “This proves the commitment of government to look after the health of people living with HIV as well as to prevent HIV infection,” he said in a statement in conjunction with 2018 World AIDS Day celebrated each year on Dec 1. According to him, the HIV epidemic in the country is mostly spread through sexual transmission. The minister said even though the number of new HIV cases had decreased, the infection rate via sexual transmission was found rising from 33% to 91% between 2007 and 2017. 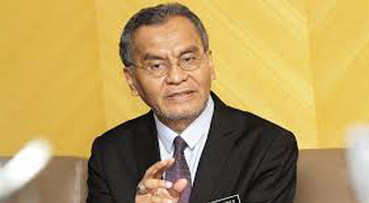 “If the matter is not quick put under control, it is feared the number of new HIV cases will rise again and thwart the country’s objective of eliminating AIDS by 2030,” said Dr. Dzulkefly. He said Malaysia had recorded the highest number of new HIV cases detected in 2002 which was 6,978 cases and now at the end of 2017, it has seen fall of more than 60%.